WHY CHOOSE Noga Tours ? 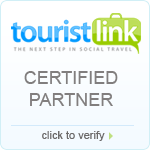 Over 35 years of experience as a Top Travel Agencies in Egypt . Noga Tours has professional staff available to serve our guests from arrival to departure. We are Members in ( IATA ) International Air Transport Association , Code Num : 90257716 . We provide amazing offers for Nile Cruise package , daily trips to Pyramids ,Cairo Egypt , Luxor , Aswan & Egypt shore excursions and Egypt safari trips. You can choose a tour from our packages , or you can Tailor-Made your tours to cater your need. "Come as a guest leave as a Friend"